NBA FIRST HALF KO! Thursday! 27-13, 68% Run! Lost Hou. MLB - Perfect Since Sunday! +$4,450 After UFC 236 SWEEP! Next Fight Card: Sat. April 27! Next Race: Sunday, April 28! Lost Sat. Finished 2nd, 4th, 5th. NBA & 5-U MLB THURS SWEEP! 27-13 NBA RUN! Scott Spreitzer looks to bounce right back in the win column in the NBA with his 1ST HALF KNOCKOUT on Thursday. Scott came up a point short last night but he's still on a 27-13, 68% NBA run up over $4,000 for $100 per unit bettors. Scott's PERFECT in MLB since Sunday! Grab his 5-UNIT MLB ROAD WARRIOR Thurs! NBA 27-13, 68% WINNING RUN! +$4,080! CFB: 7-U MAIN EVENTS: 37-19! MLB: 7-U MAIN EVENTS: 51-26 run! NFL: 60% LAST 393 RELEASES ONLINE! NBA: MAIN EVENTS: 63% PLAYOFFS Multi-year Run! NBA: 3-1 & 42-23 FINALS! NBA THURSDAY 1ST HALF KNOCKOUT! 27-13, 68% RUN! Scott Spreitzer looks to bounce right back in the win column in the NBA with his 1ST HALF KNOCKOUT on Thursday. Scott came up a point short last night but he's still on a 27-13, 68% NBA run up over $4,000 for $100 per unit bettors. 5-U MLB THURSDAY ROAD WARRIOR! PERFECT SINCE SUNDAY! Scott Spreitzer aims to remain perfect on the bases since Sunday with a 5-UNIT ROAD WARRIOR on Thursday's diamond card. Scott had the Yankees last night, but while NY won, it was a no-play since the Halos went with an off-pitcher. Grab the 5-UNIT ON THURSDAY AND STAY PERFECT! NHL THURSDAY PASS - BACK ON FRIDAY! Scott Spreitzer is passing tonight's NHL as he likes to jump in game action after a series has a game under its belt. He's taking off Thursday's NHL but will be back with NHL action on Friday. +$4,500 FIGHT PROFITS AT DOC'S! SWEPT UFC 236! Scott Spreitzer expected to be in action Saturday, April 20, but his lone fight bet, the fight between Devin Clark & Ivan Shtyrkov was CANCELED. Scott expects to be back in fight action on Saturday, April 27. NEXT NASCAR RACE GOES SUNDAY, APRIL 28! Scott Spreitzer suffered a tough loss on Saturday, finishing 2nd, 4th, and 5th, and just missed when Martin Truex held off Joey Logano on the final lap. Scott's next NASCAR card goes Sunday, April 28. 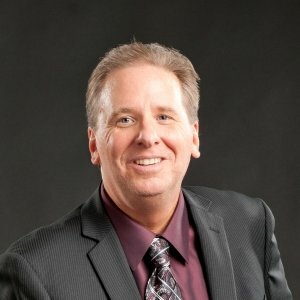 Scott Spreitzer has spent 25+ years in the world of sports betting and he's been one of the few bettors/handicappers to be accepted and sought after on several national radio shows as the key go-to analyst with a Vegas perspective. Scott dominates the ESPN national airwaves during football season. He's the featured bettor/handicapper on the Dari and Mel show, appearing every football Saturday for the past four years with Dari Nowkhah and Mel Kiper, Jr., a show heard on over 300 ESPN affiliates. Scott doubles back every Sunday morning on ESPN National's NFL Sunday Countdown with Kevin Winter (4 years running). And he kicked off this past football season each and every Friday as the regular betting expert on the Mike Golic, Jr., show. Scott's even had his Vegas-centric information repeated on college football live game broadcasts by the likes of Kirk Herbstreit. If you tune into ESPN national on football weekends, you're bound to hear Scott. NBA FINALS: 42-23, 65% RUN! NFL: 60% LAST 393 PLAYS! CFB/NFL TOP RATED PLAYS: 18-6-2 & 40-22 runs! MLB: 14-6 WINNING SEASONS LAST 20 YEARS! NBA: 42-23, 65% PLAYOFF FINALS RUN! CFL: 71% 2017 SEASON! *105-74 RUN! Scott's made numerous appearances on ABC radio as part of their Sugar Bowl preview, among several other bowl preview shows heard on a national basis. And Scott's the only bettor/handicapper to be featured on national NFL pregame shows. Scott's been a featured guest on such radio shows as the SEC Network's Paul Finebaum show along with the Stephen A. Smith show. Scott's in his 6th season and currently heard weekly on MAD DOG RADIO'S The Wrap (Sirius-XM) with Patrick Meagher. He's in his 12th year on NBC Radio in Phoenix and he appears on roughly 8-12 regional shows each and every week throughout the football and basketball seasons. By just 25-years of age, Scott was already the co-host of the world famous, "Stardust Line," first made famous by Frank "Lefty" Rosenthal, and later by former NFL RB Jim Brown. Scott appeared on a weekly national TV football show, Proline, on USA Network for 10 seasons and he's been a featured sports betting expert on CNBC's Power Lunch (financial show). Scott has hosted more than a dozen radio shows in Las Vegas and has appeared as an expert speaker at the NAB convention, while also hosting the Westgate Super Book's annual football weekend. Most recently, Scott has been co-host of The Las Vegas Sports Line, heard daily on ESPN-Las Vegas. Scott's proudest achievements took place in front of the Las Vegas betting public. Scott is the only handicapper to advance to three straight Finals in the Station Casinos Football Invitational. In fact, he's the all-time Station Casinos Win Champion. And what's most impressive about Scott's record is that it was compiled with a high volume of selections. Scott released over 500 college football and NFL plays combined, over five seasons, and finished with an awesome, 59% ATS winning mark, as documented by the Station Casinos and the Las Vegas betting public. He's also placed in the top-20 (over 1,000 entries at $1,500 per entry), in the world famous Westgate NFL Super Contest. Scott Spreitzer grew up in a horse racing family. Scott's Uncle, Robert Mundorf was Jockey of the Year at Del Mar race track in the 1960's. Besides having a jockey in the family, Scott has been surrounded by those who attempt to beat the spread since he was in his late teens, moving to Vegas at 17 years of age. "Growing up around those who were all about winning to make a living, showed the type of attitude, desire, and work ethic it takes to get the job done, year-after-year. You want to eat? You better know how to win."